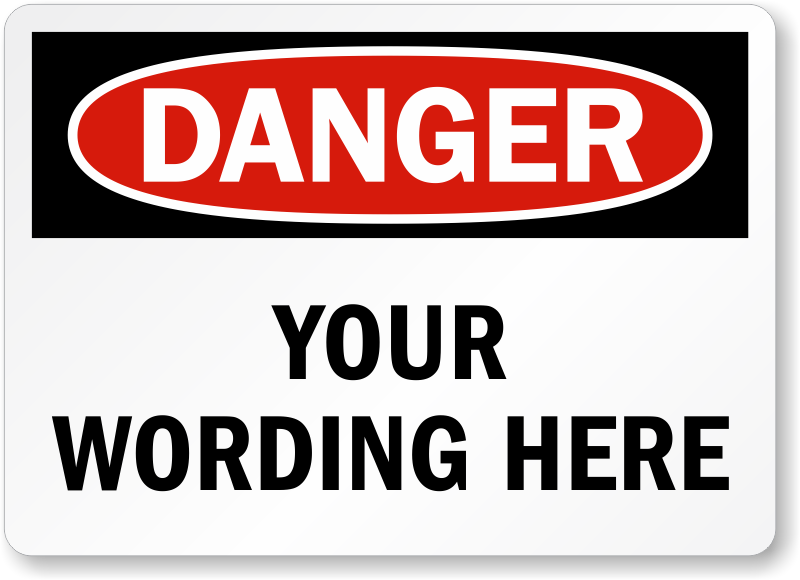 Just add your text and create your own personalized OSHA compliant Customizable Danger Label. Fast & Professional!! Very pleased with quality!! Huge time saver and looks great. We had custom sticker signs made to replace spray painted template markings. This speeds things up tremendously and reduces the hassle! Thank you MySafetySign.com. Signs were perfect! They are just what we needed. Thanks for the quick and thorough service!